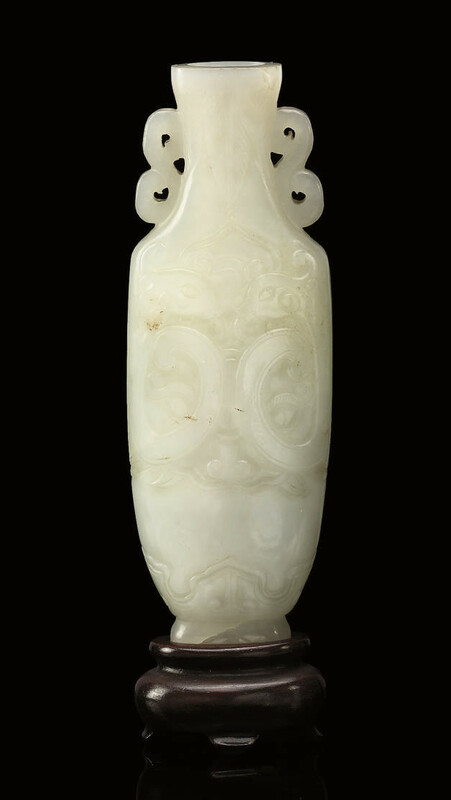 of flattened ovoid form with twin s-shaped handles, the body carved in relief with confronting stylised pheonix heads helping form a taotie- mask motif, the neck with a border of inverted stiff leaf motifs -- 4¼in. (10.9cm.) high, wood stand.